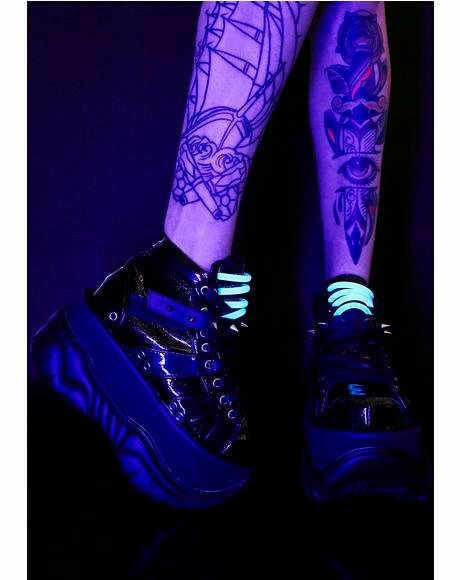 Y.R.U. 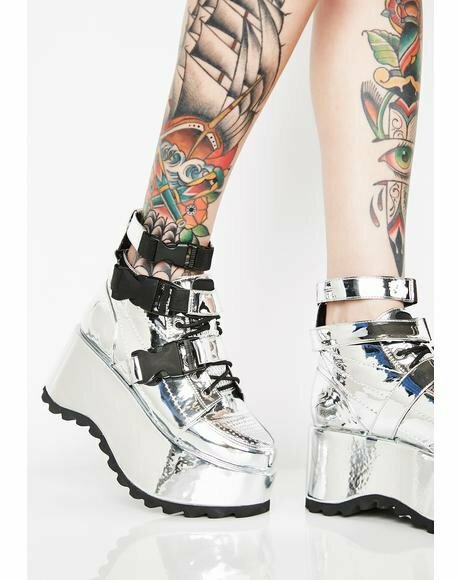 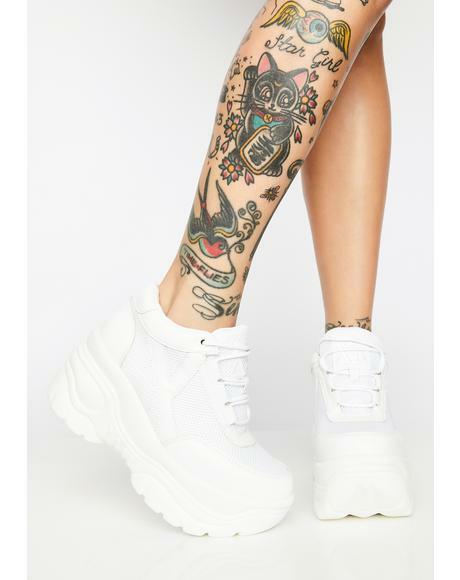 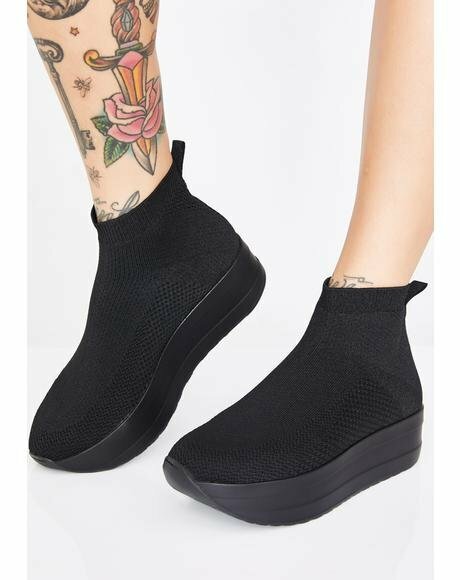 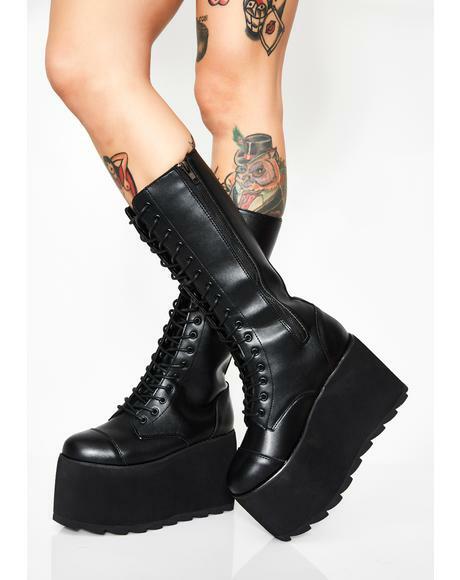 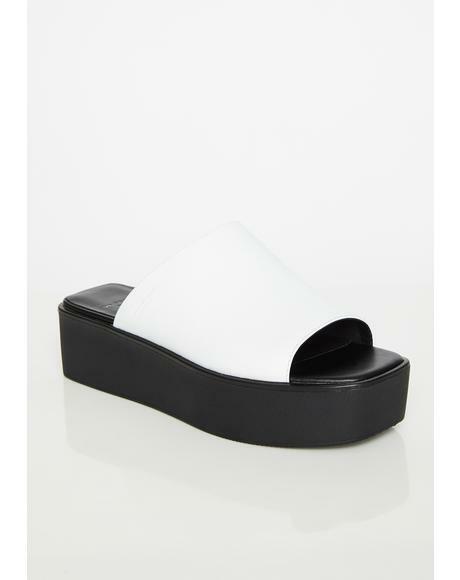 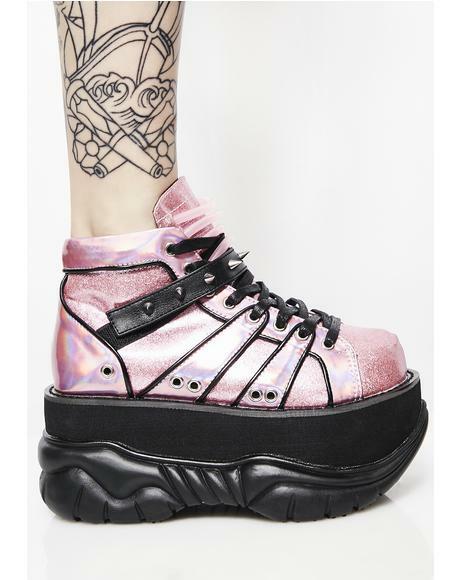 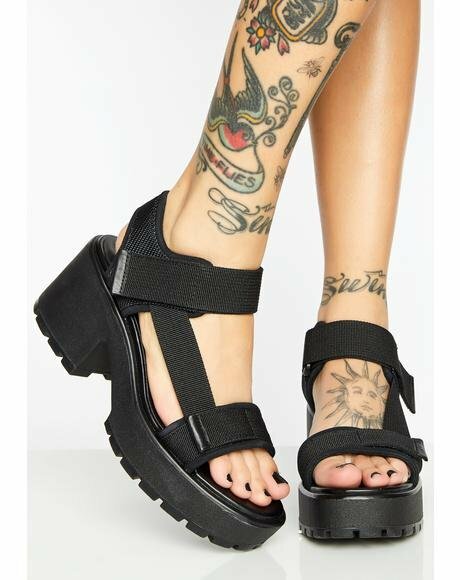 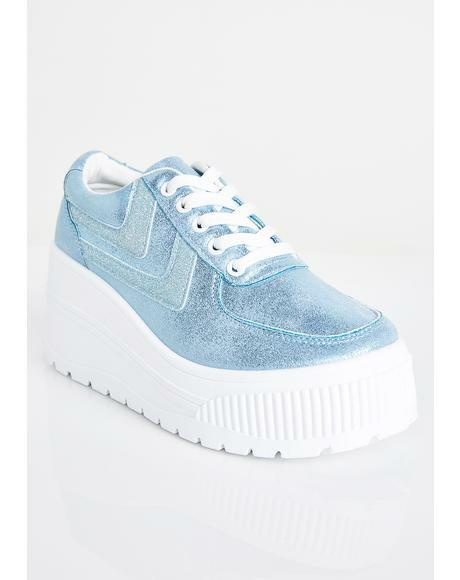 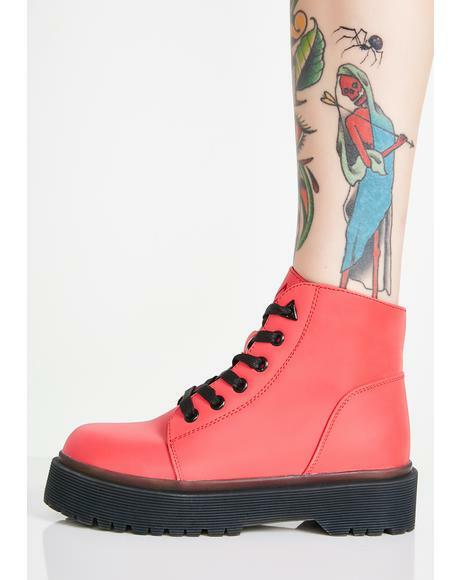 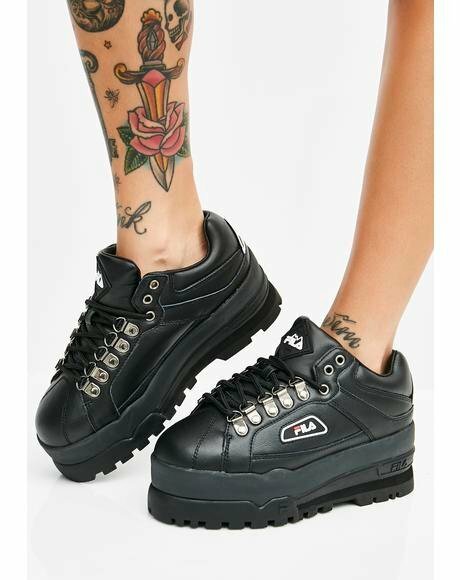 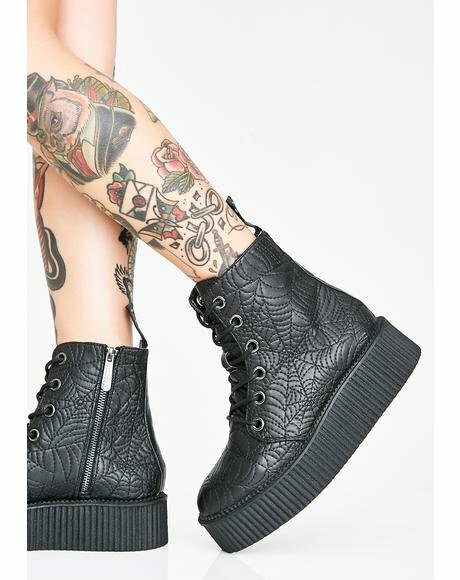 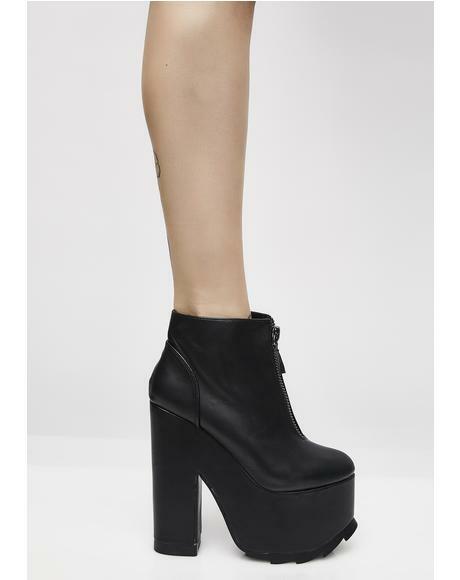 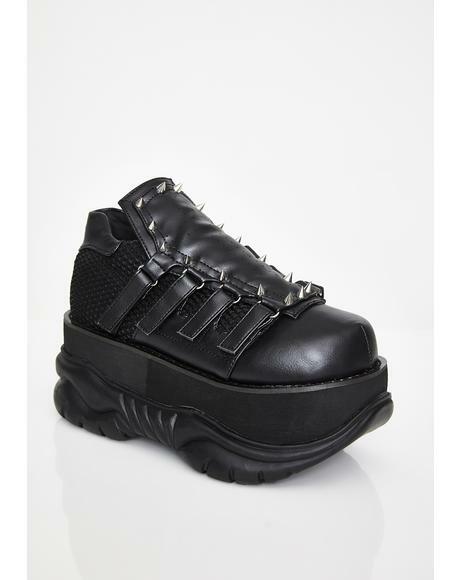 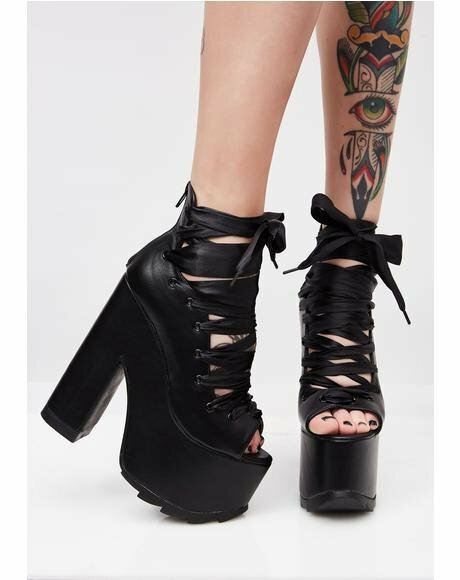 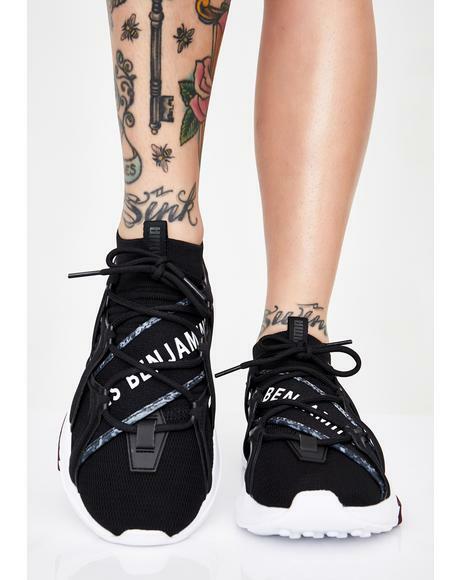 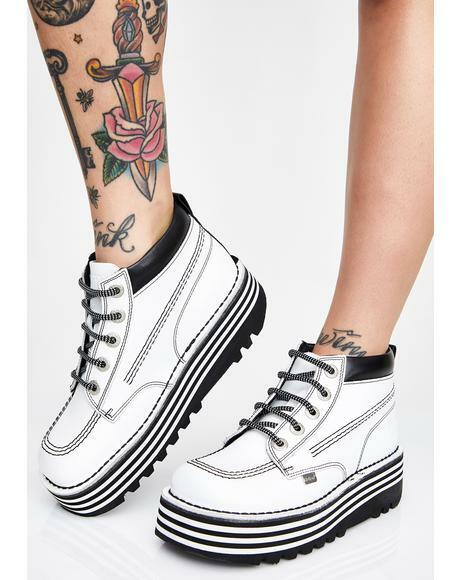 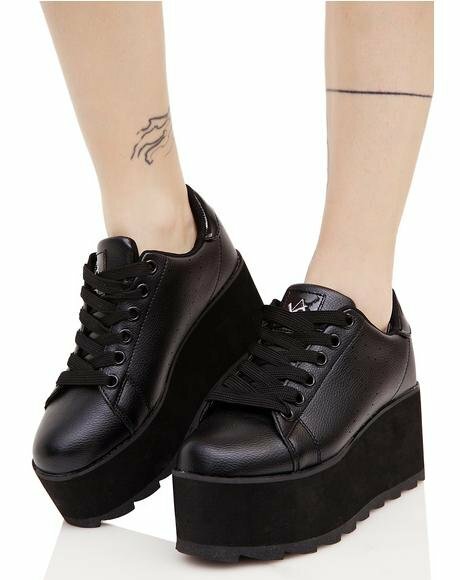 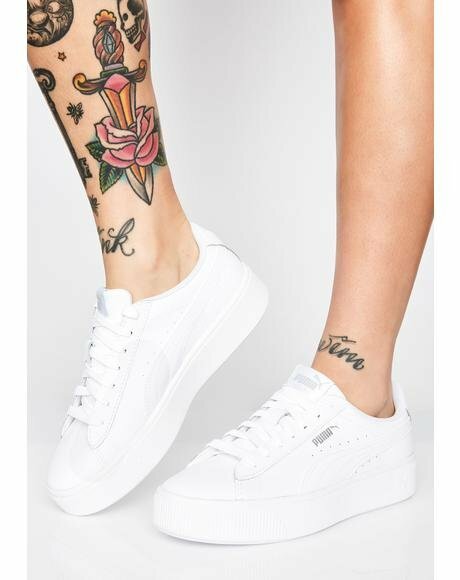 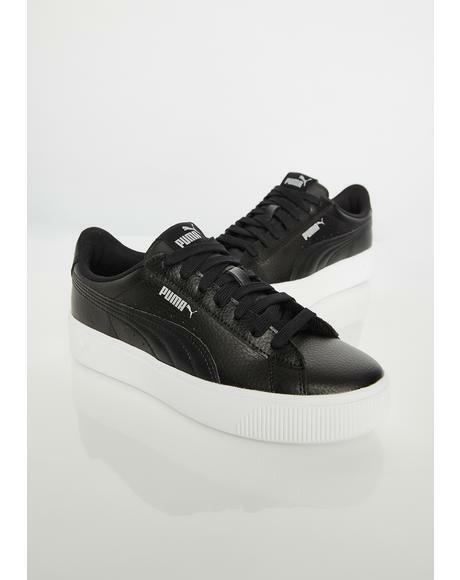 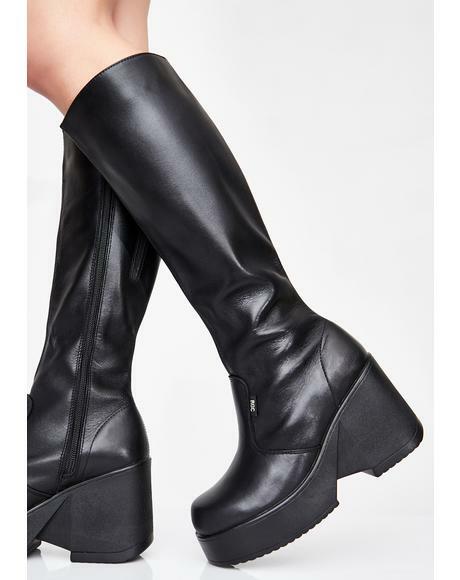 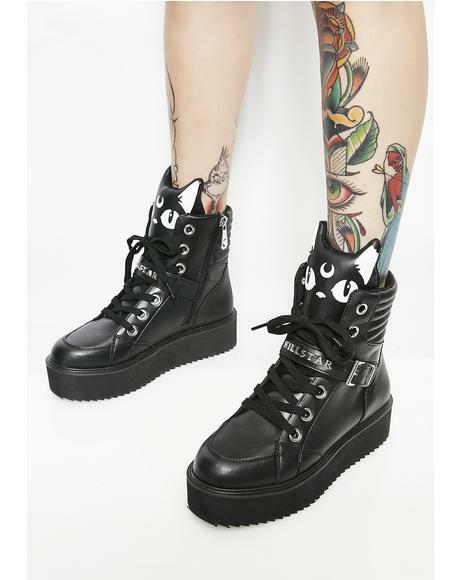 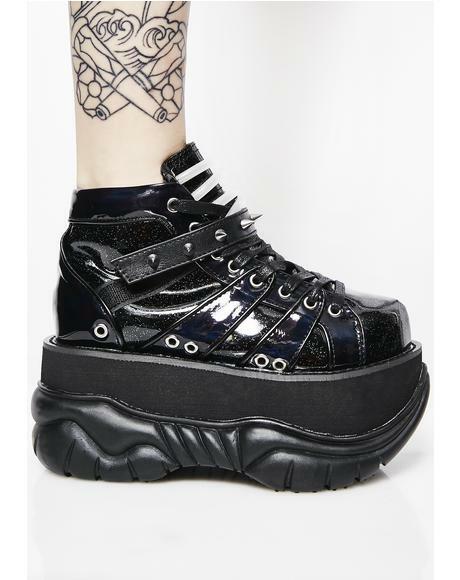 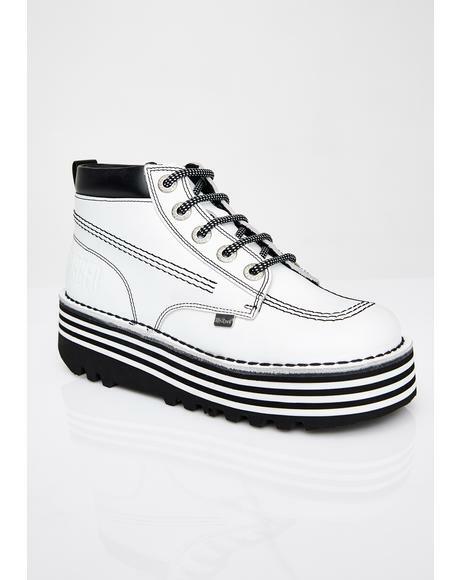 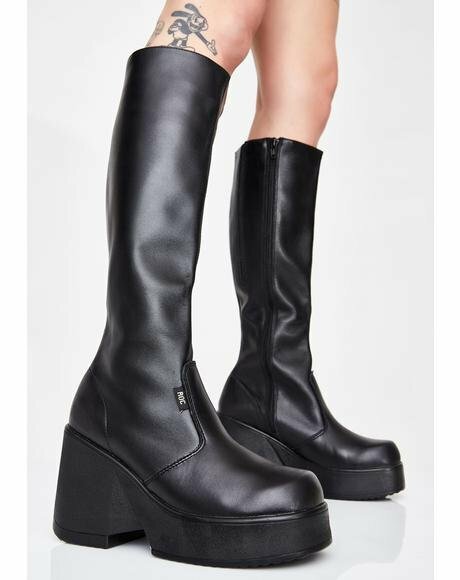 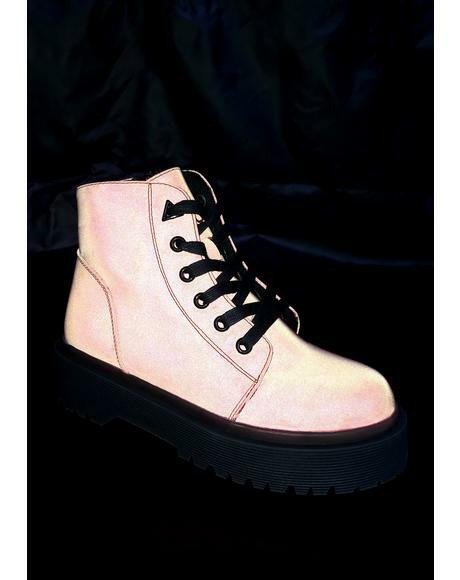 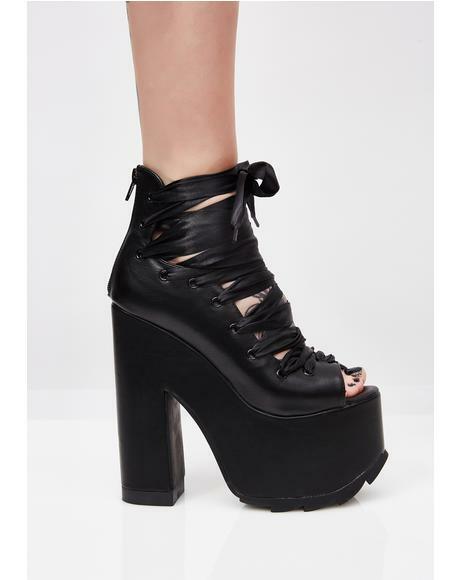 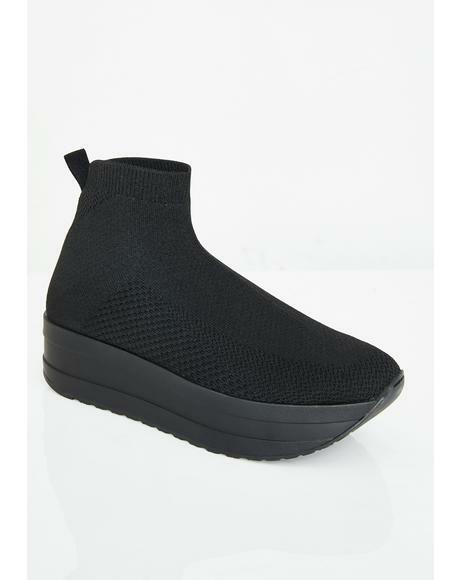 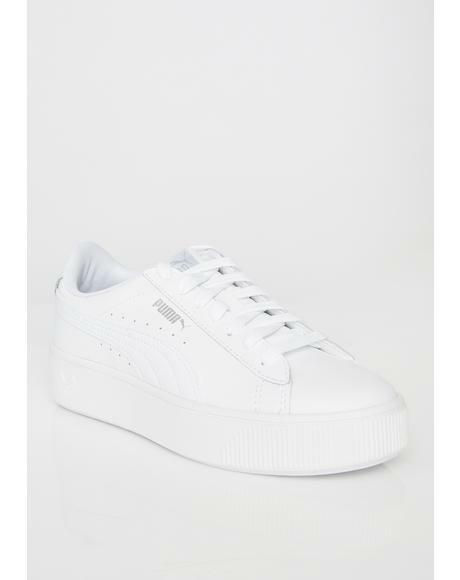 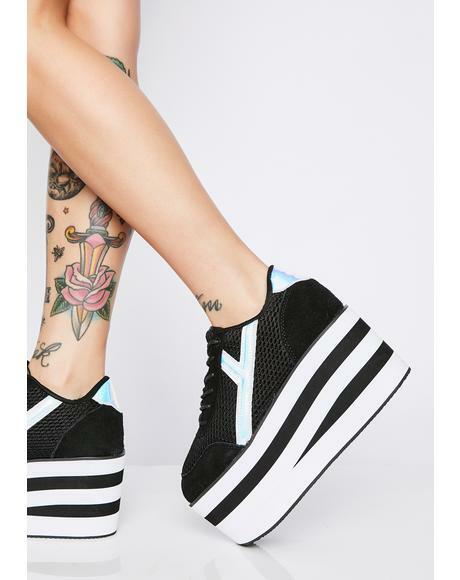 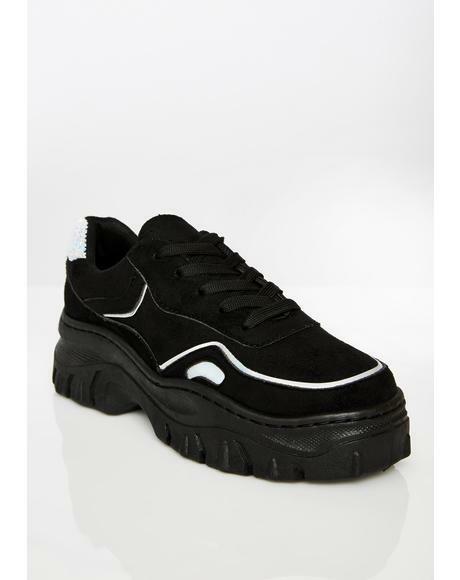 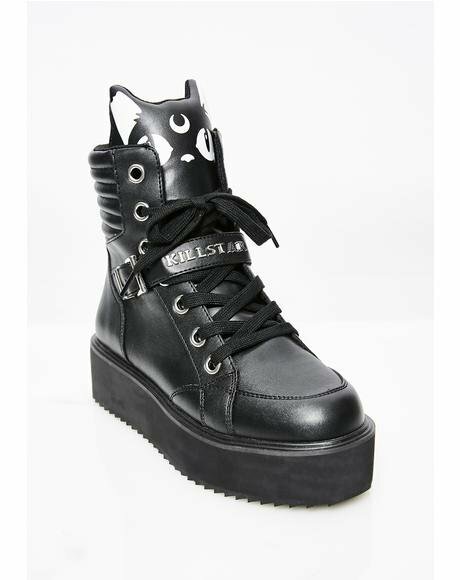 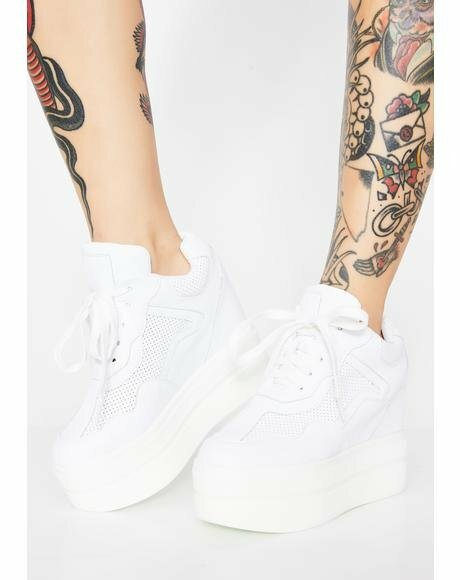 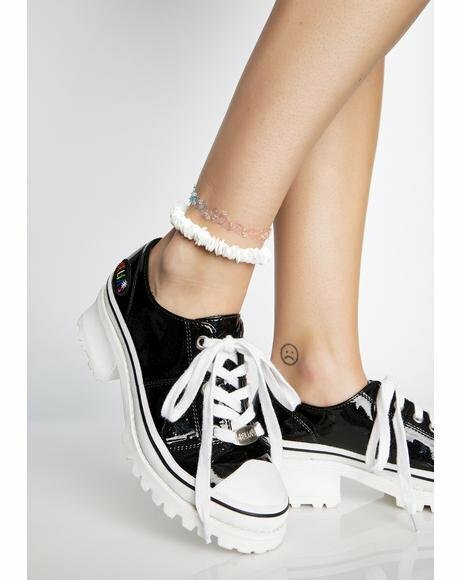 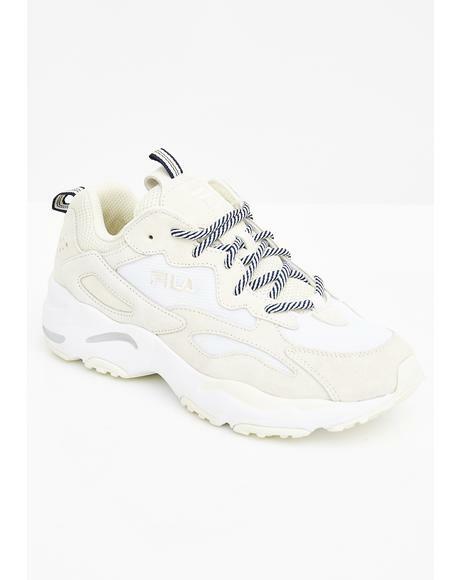 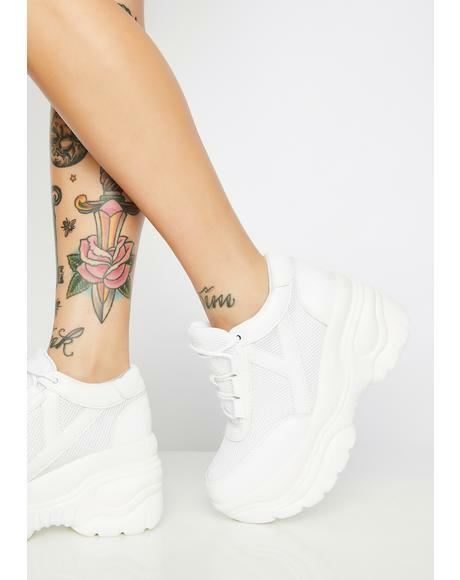 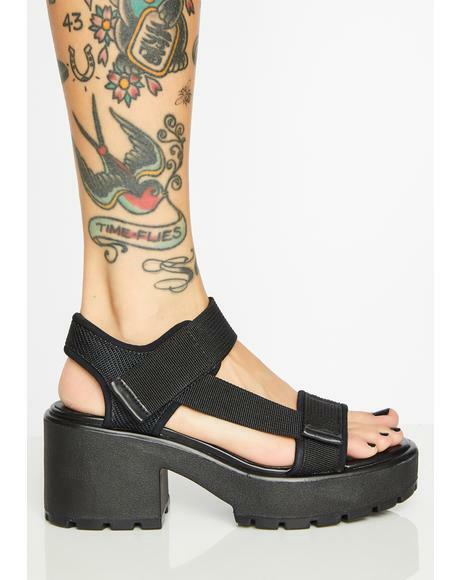 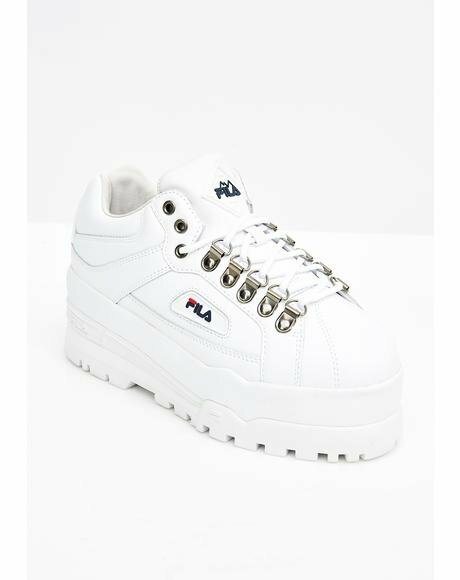 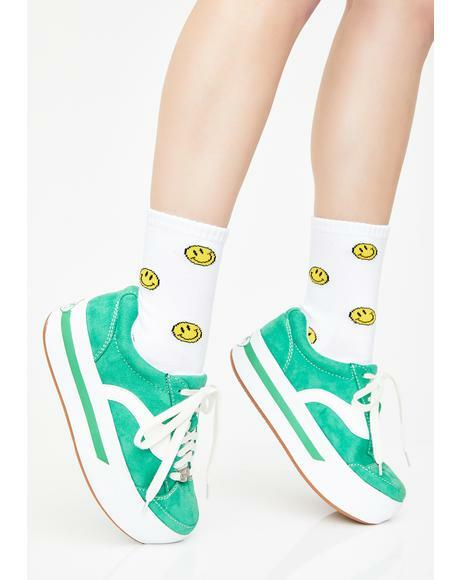 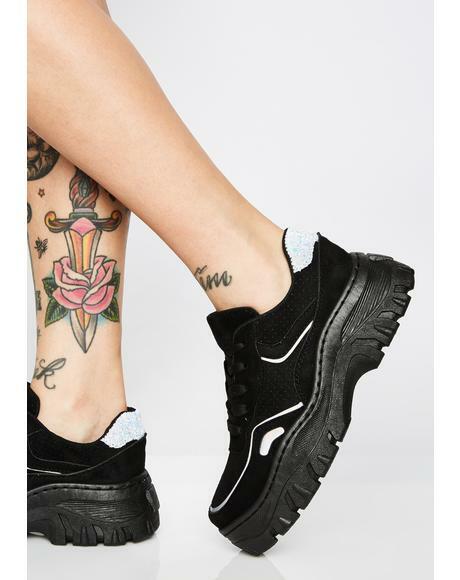 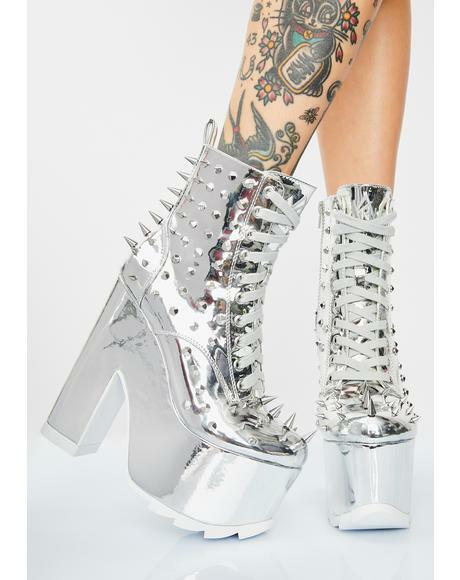 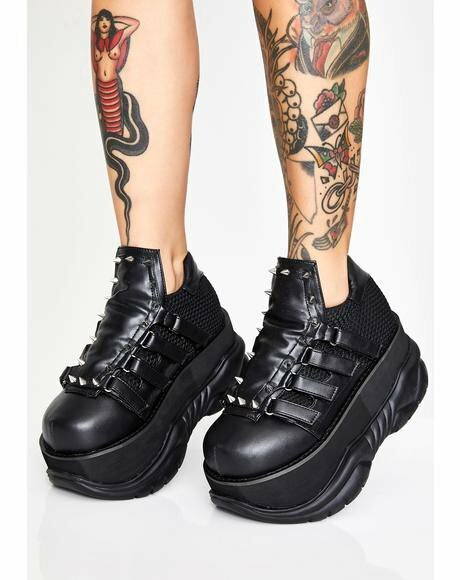 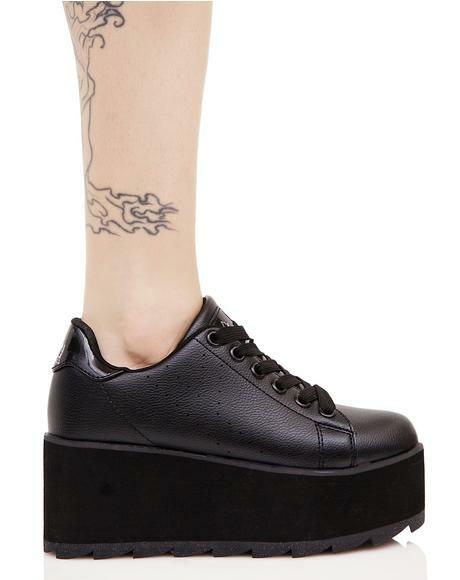 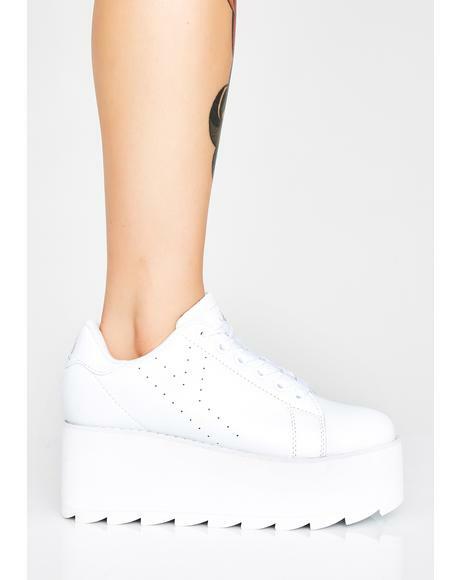 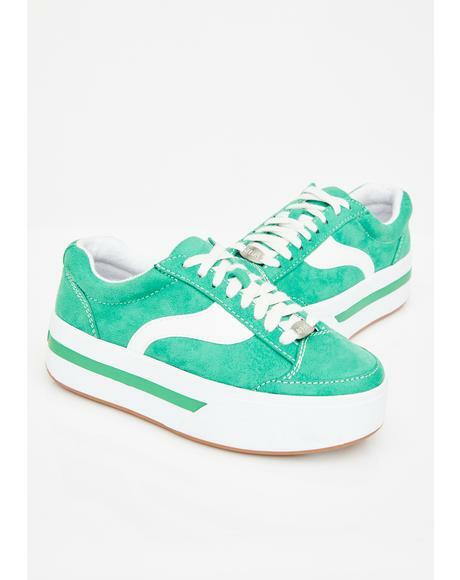 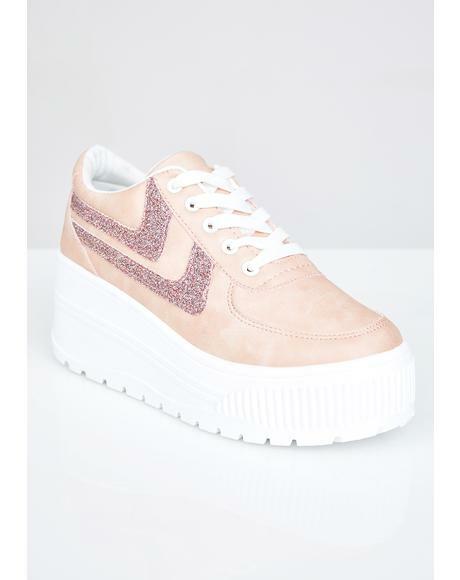 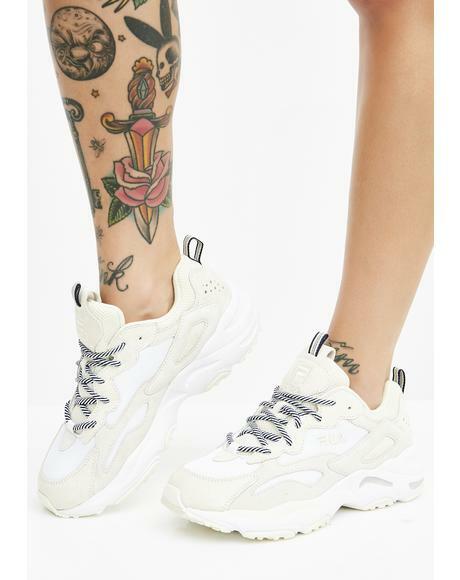 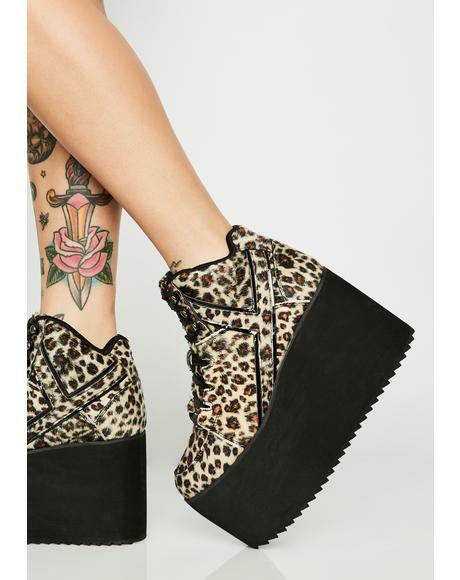 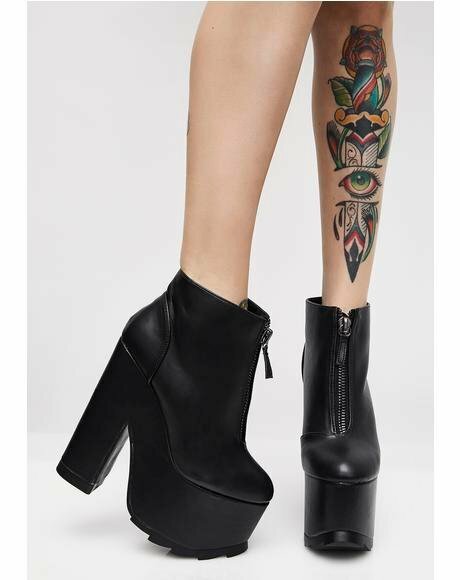 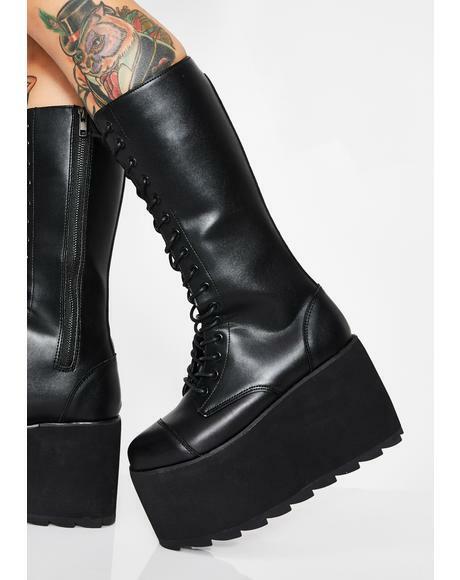 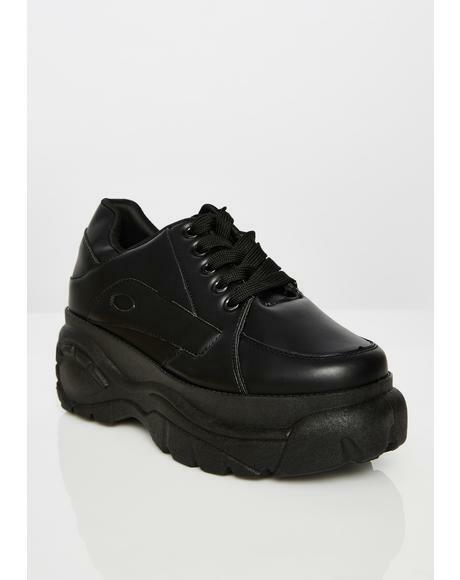 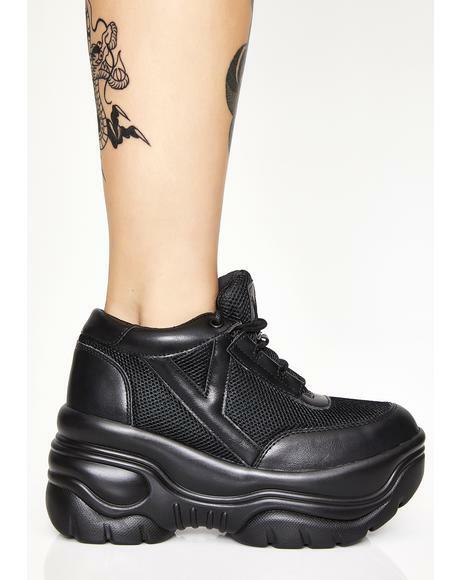 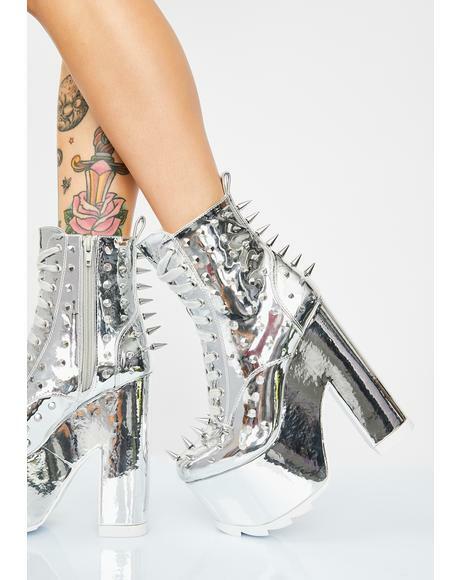 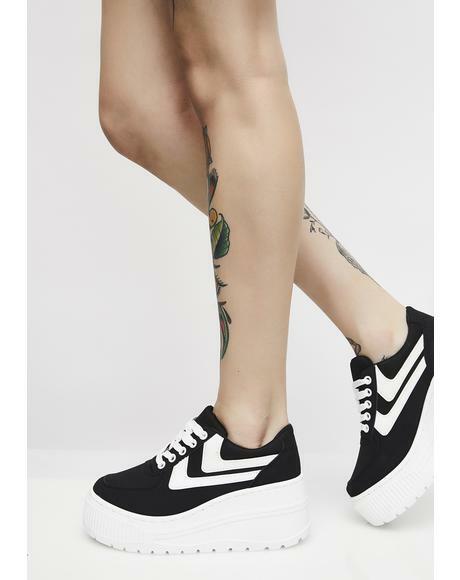 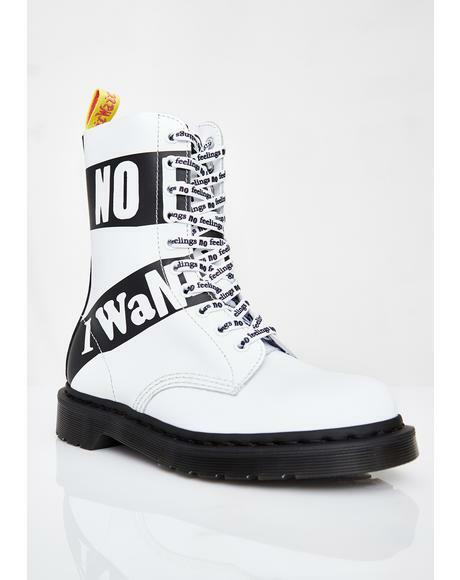 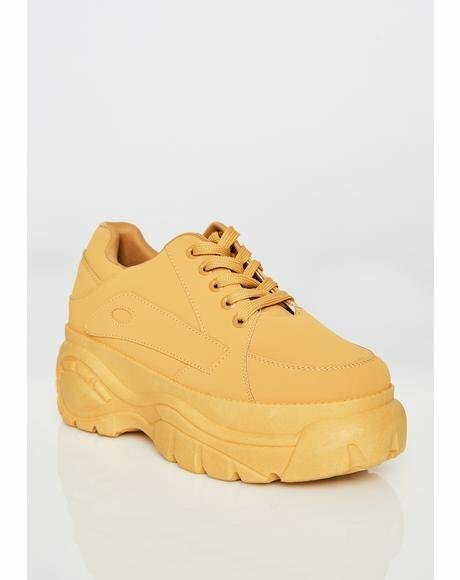 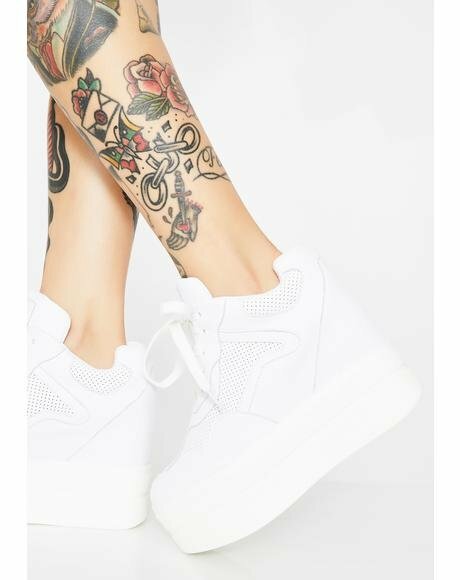 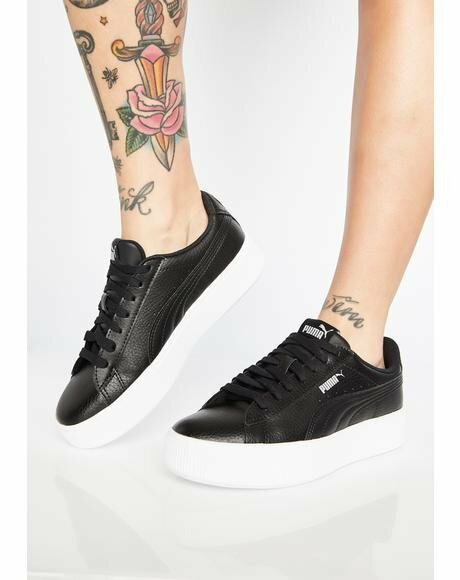 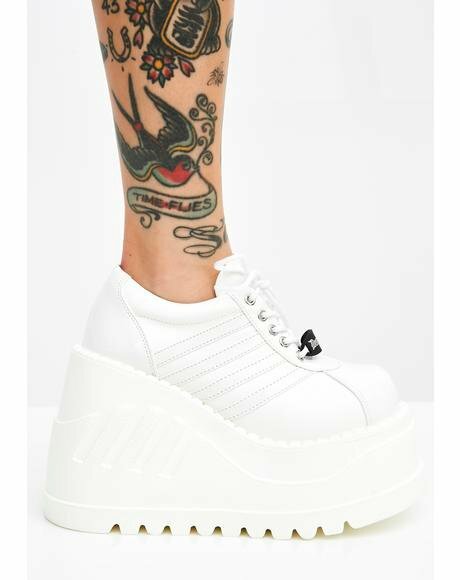 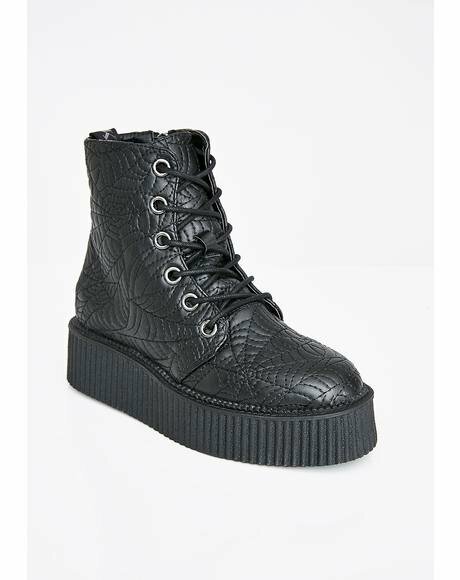 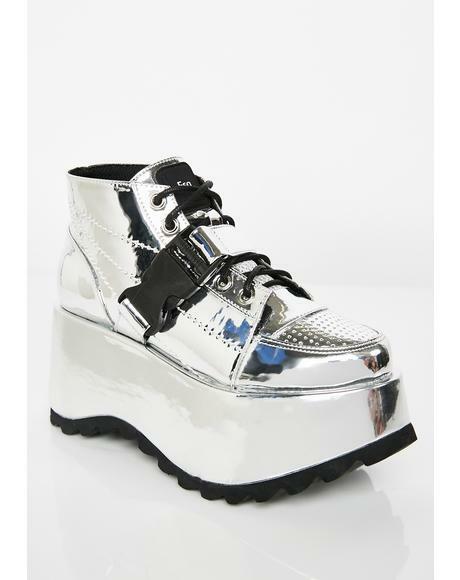 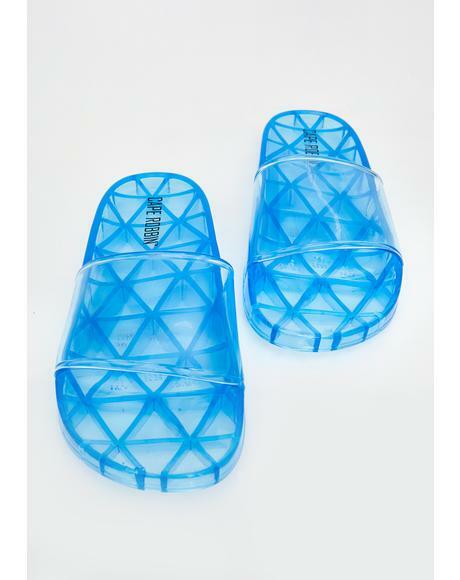 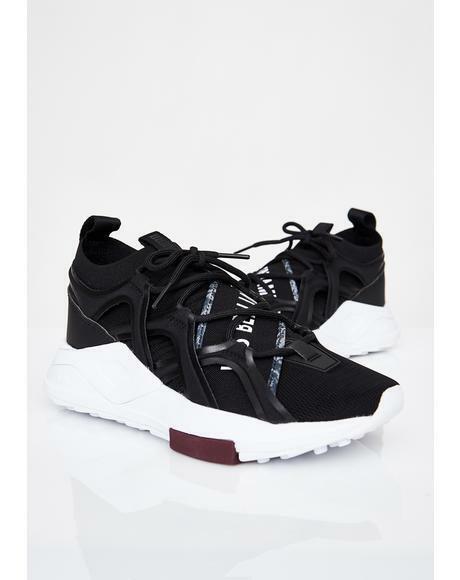 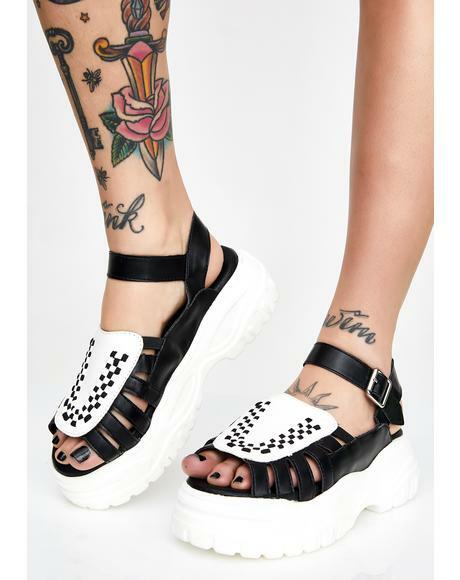 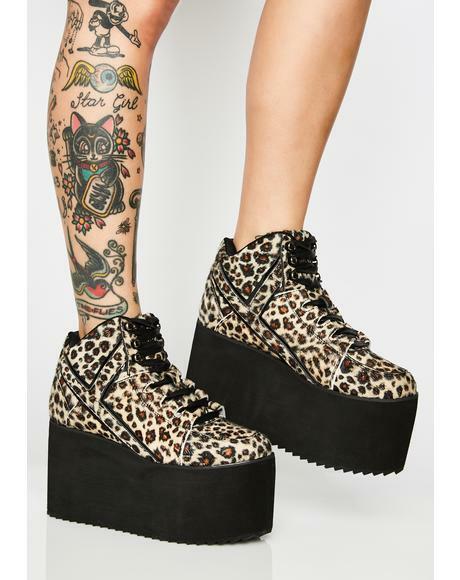 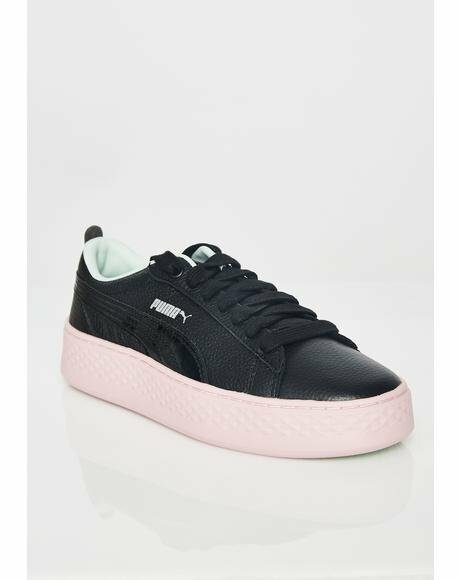 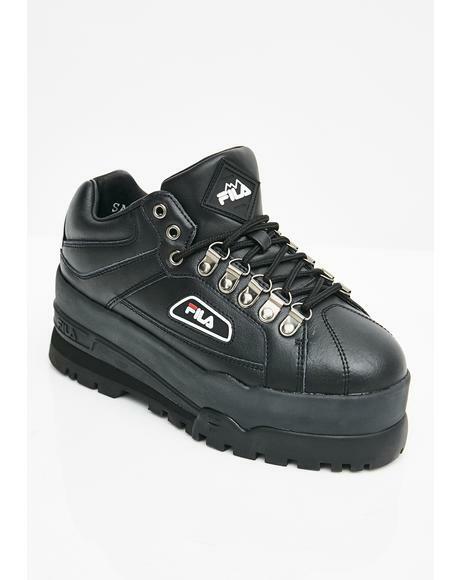 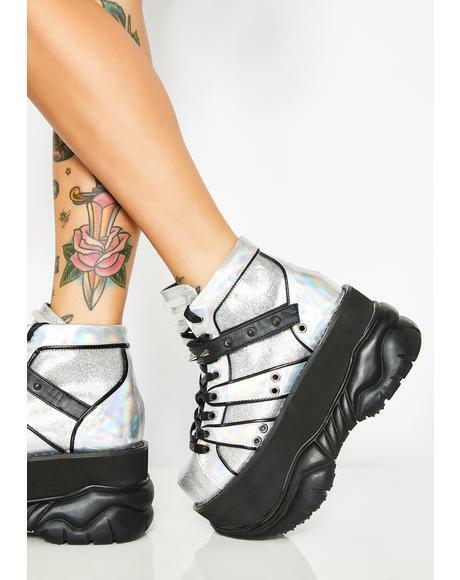 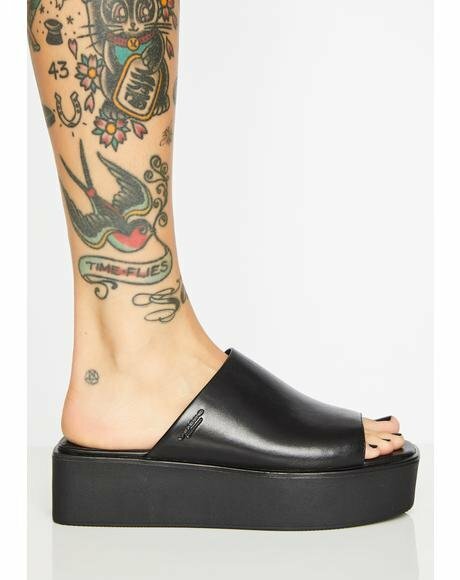 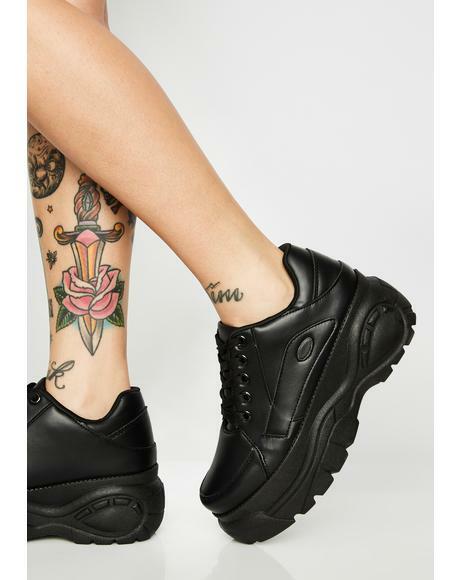 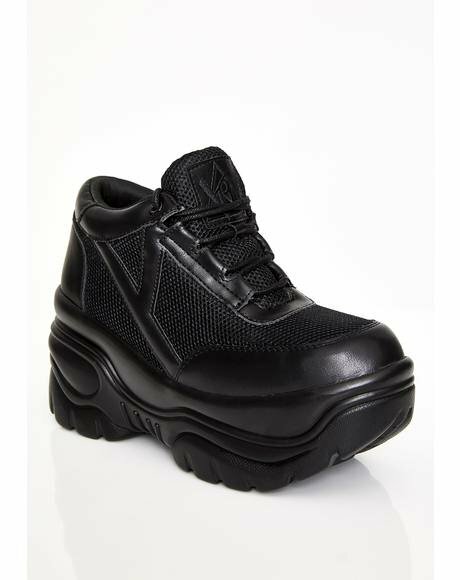 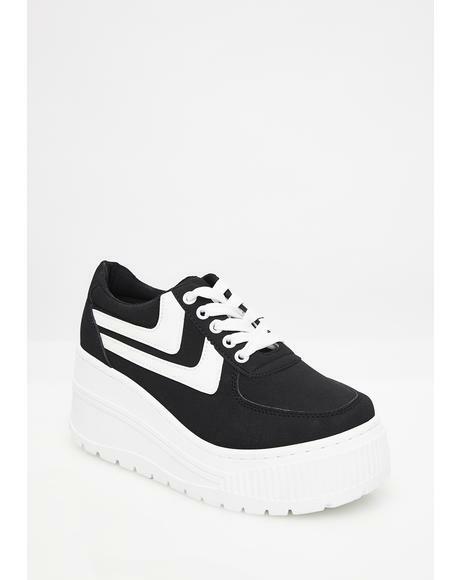 (Pre)Skoolin' U Platform Qozmo Sneakers cuz you’re gonna teach ‘em a lesson. 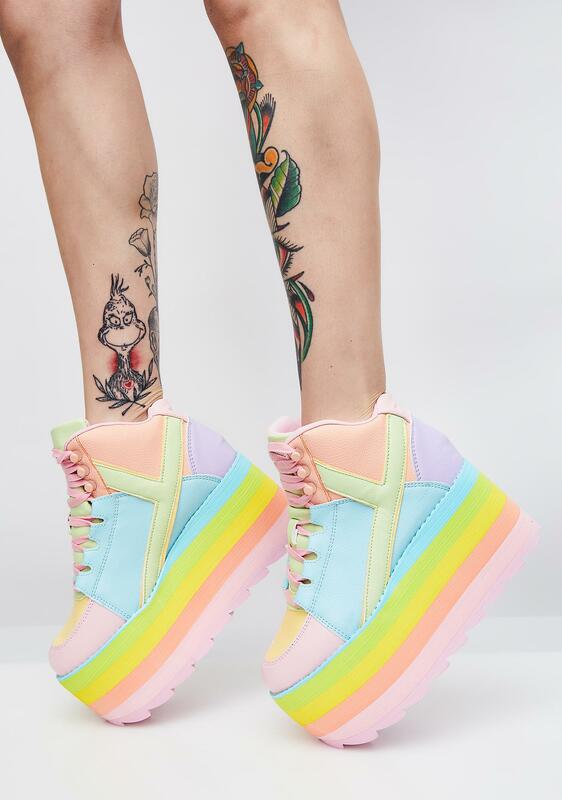 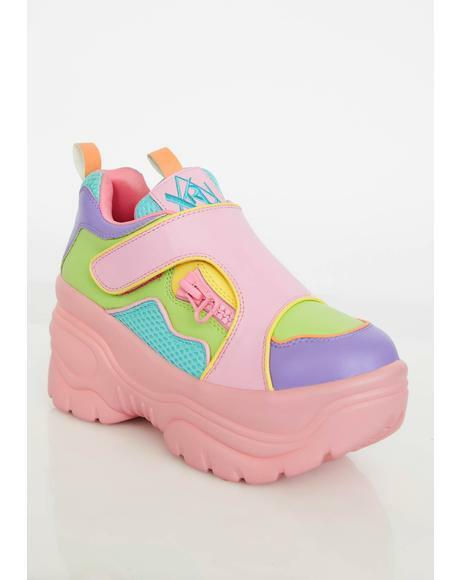 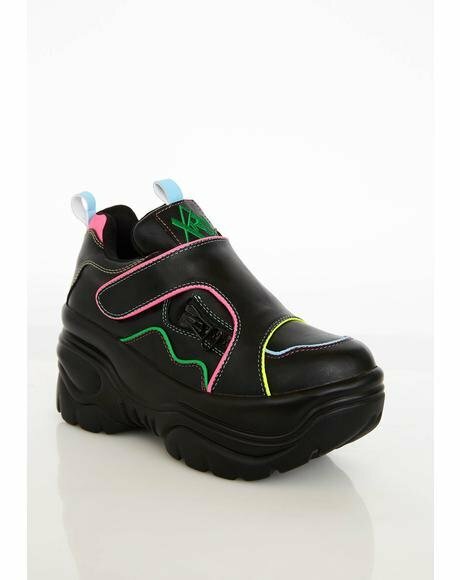 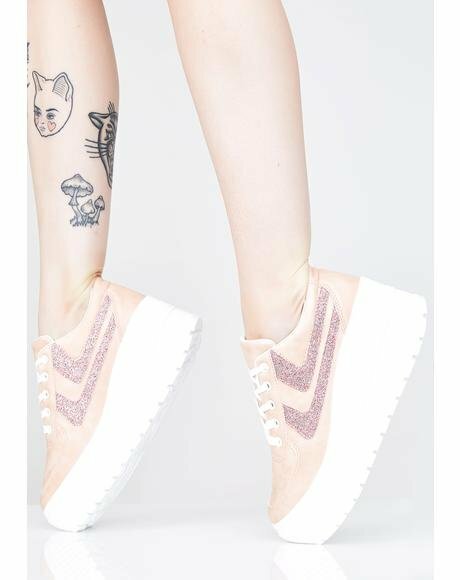 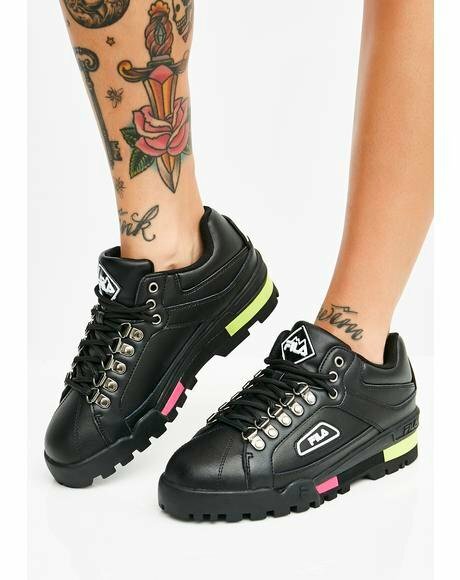 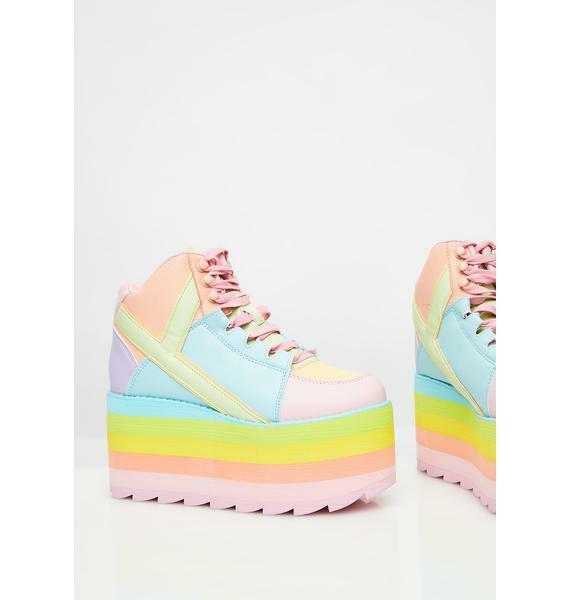 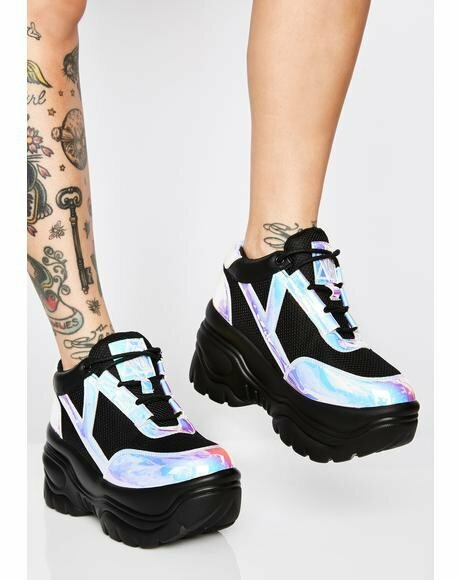 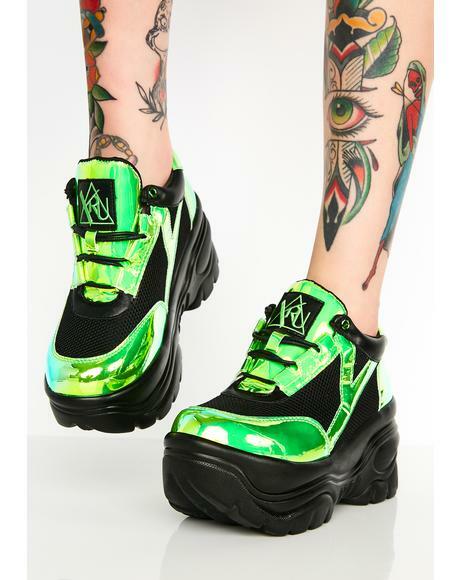 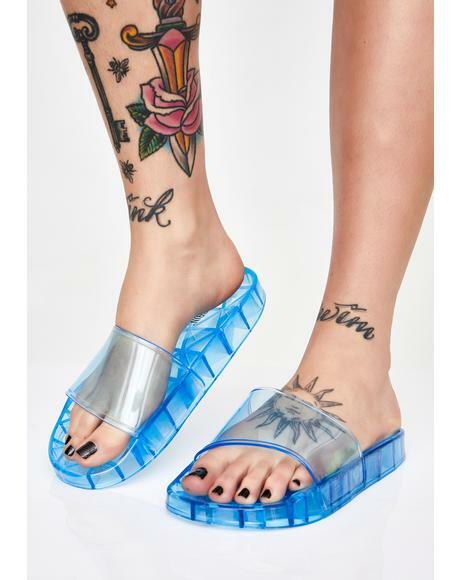 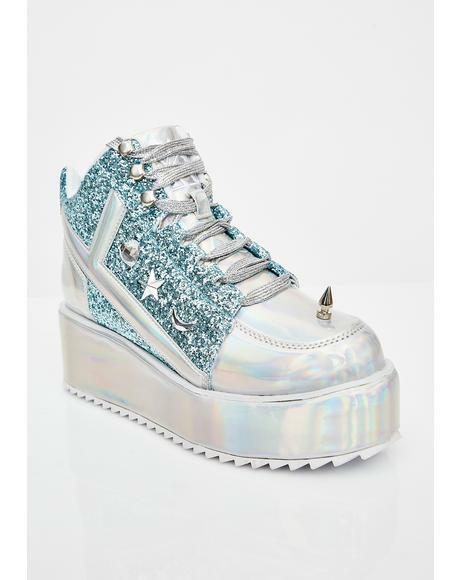 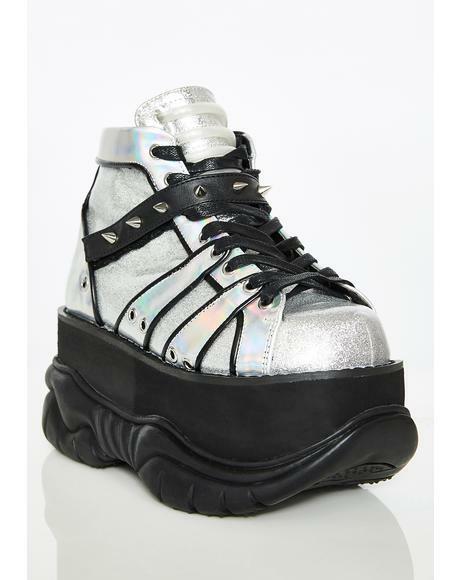 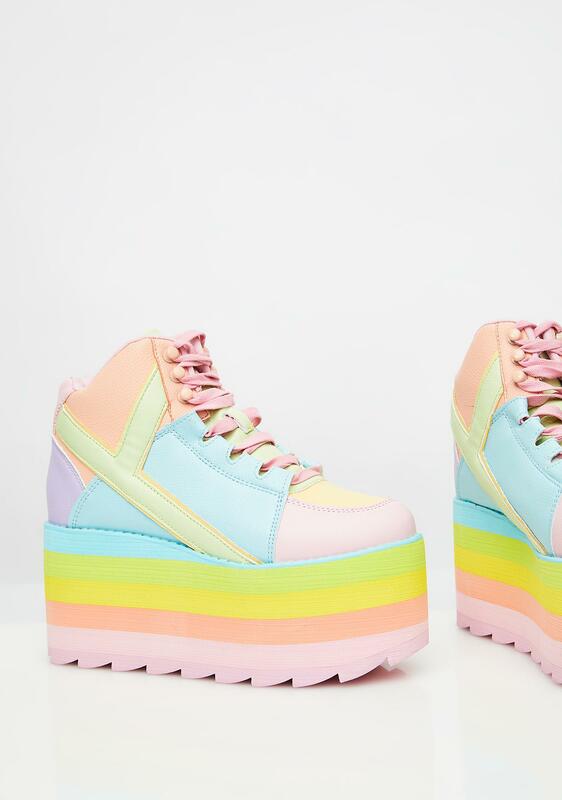 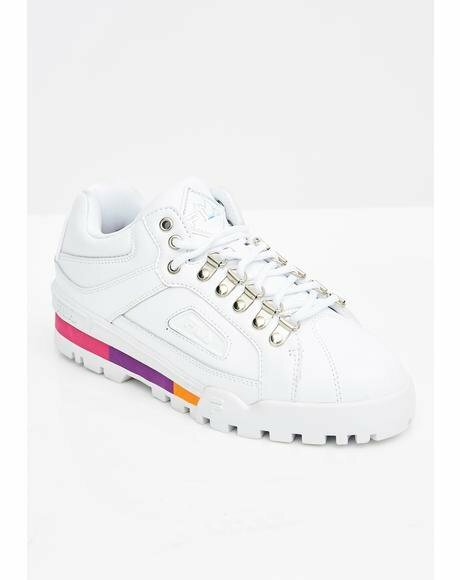 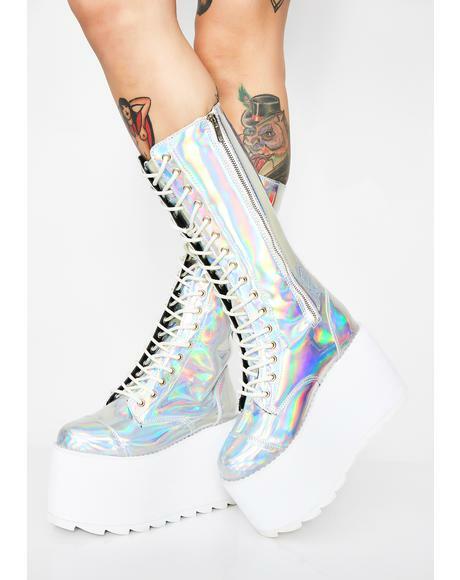 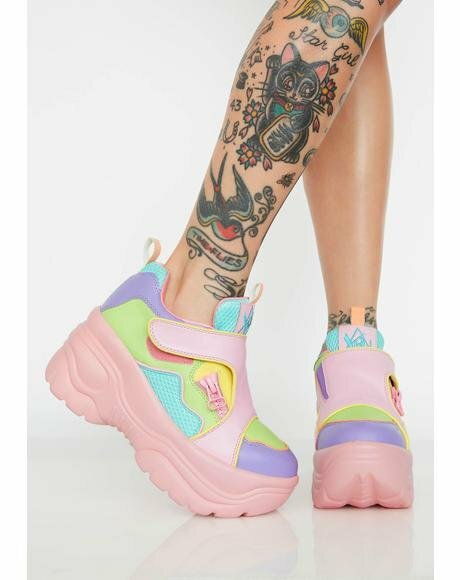 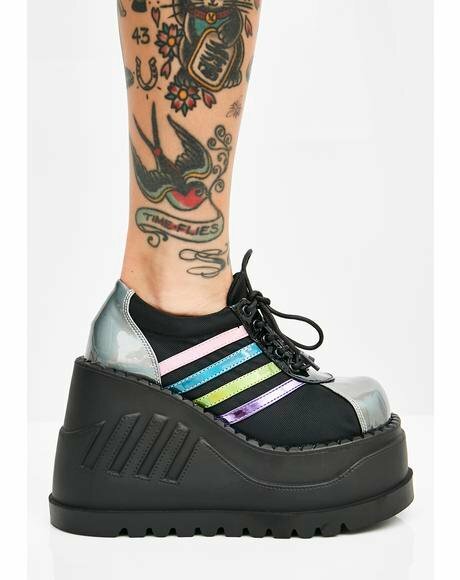 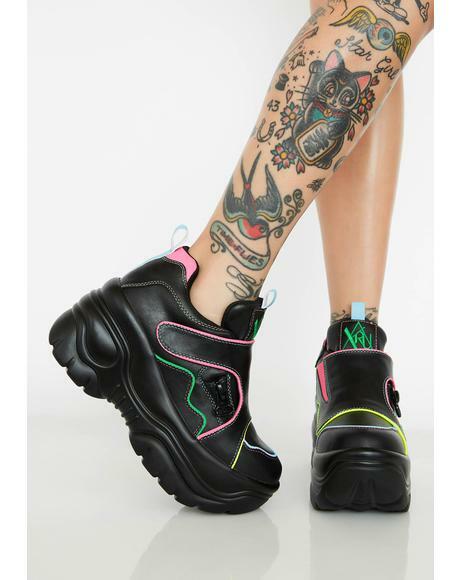 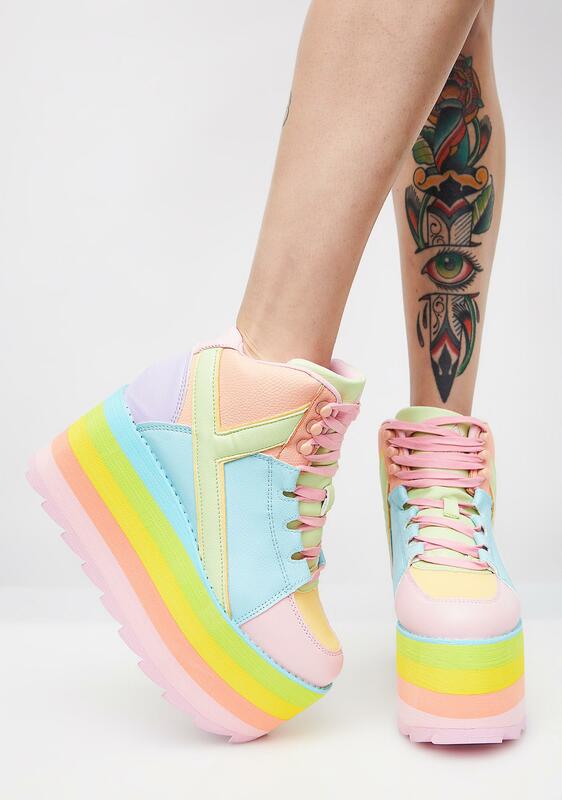 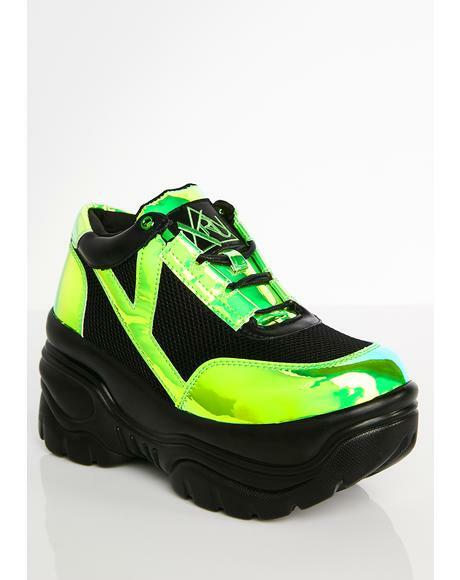 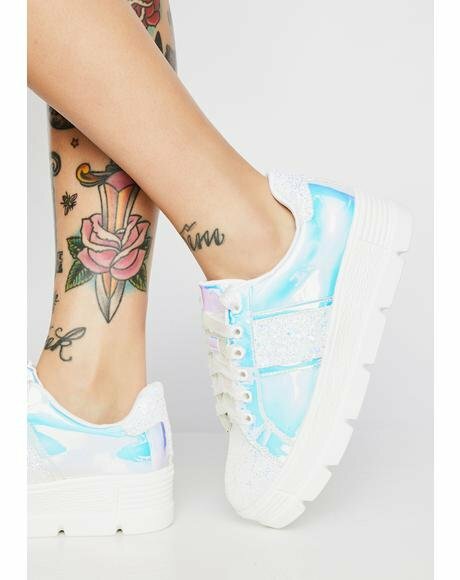 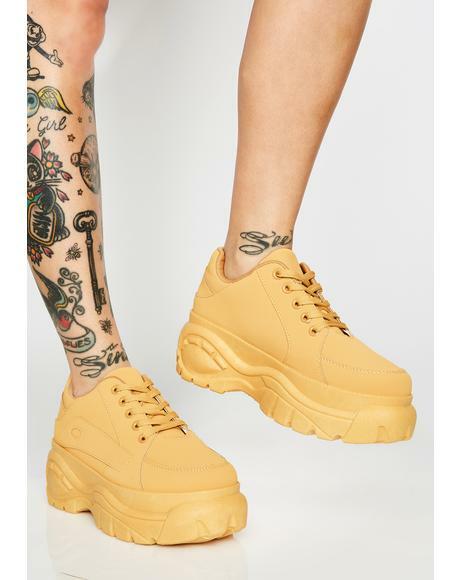 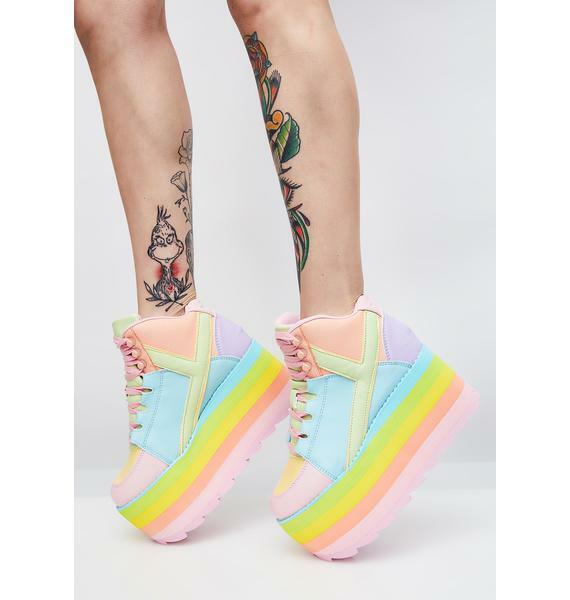 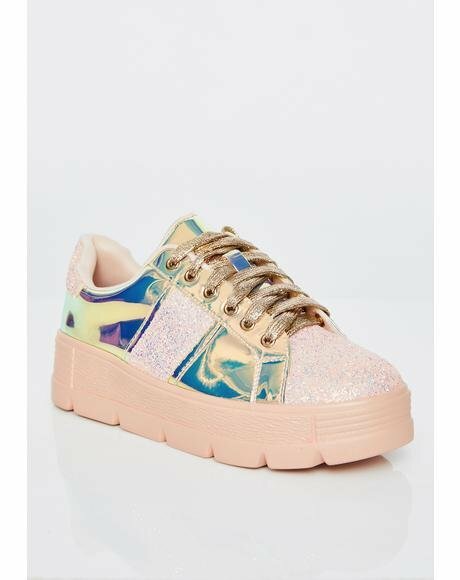 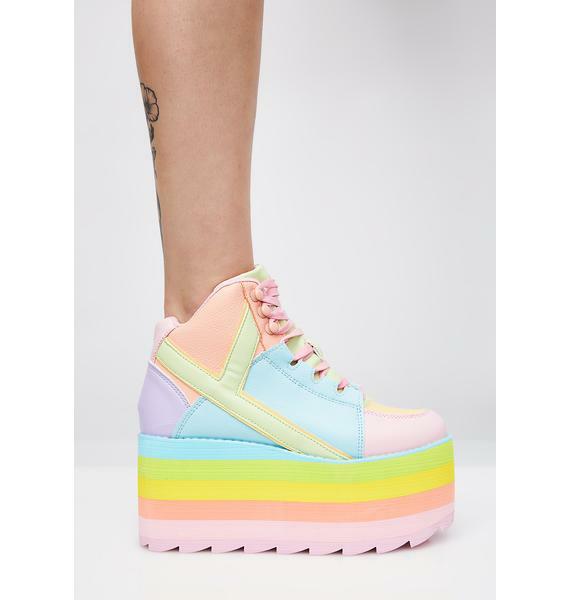 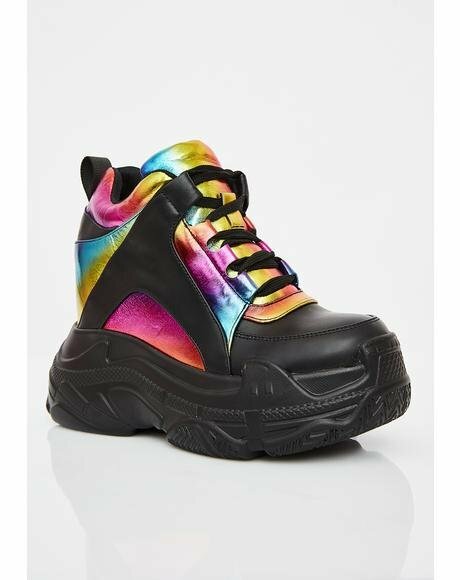 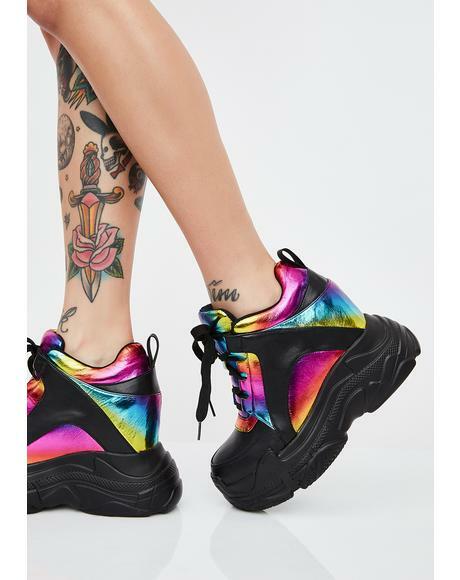 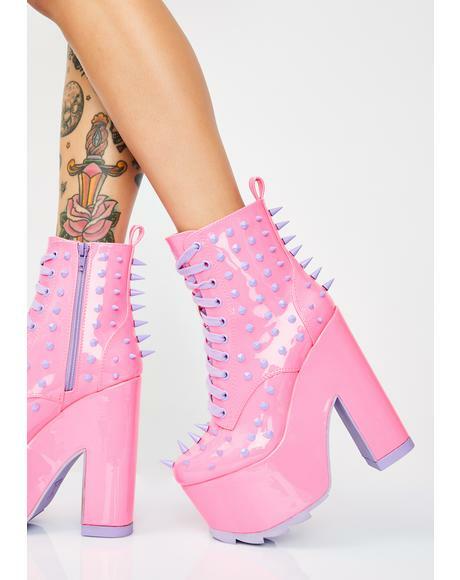 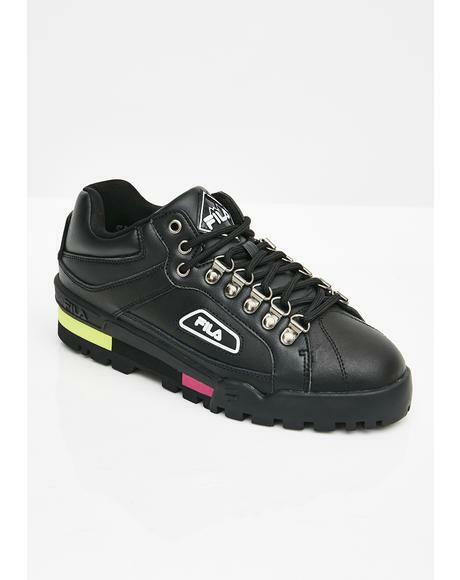 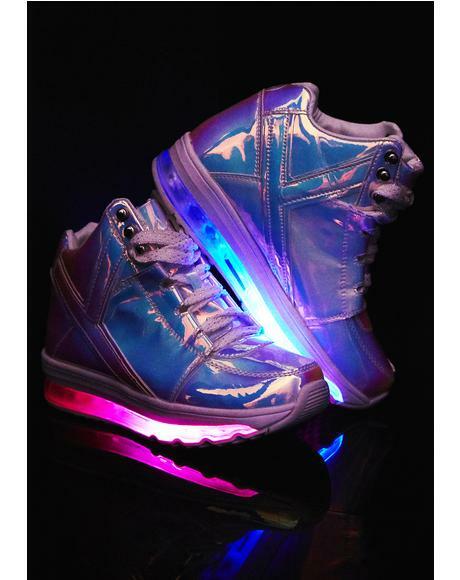 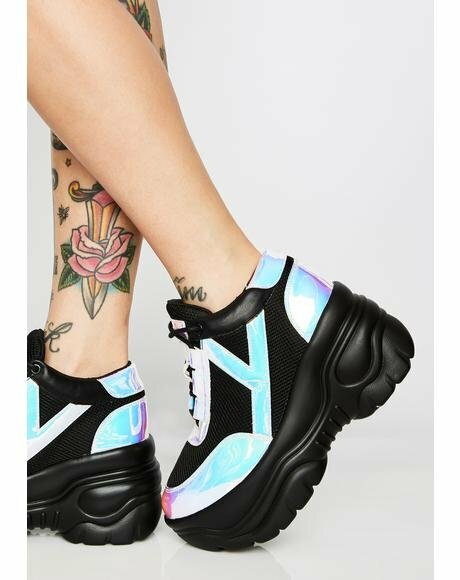 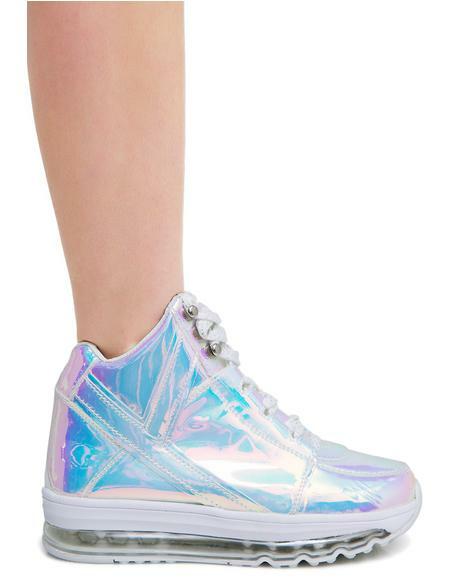 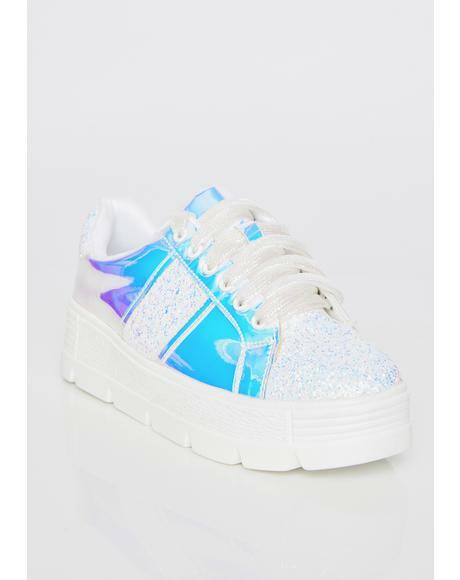 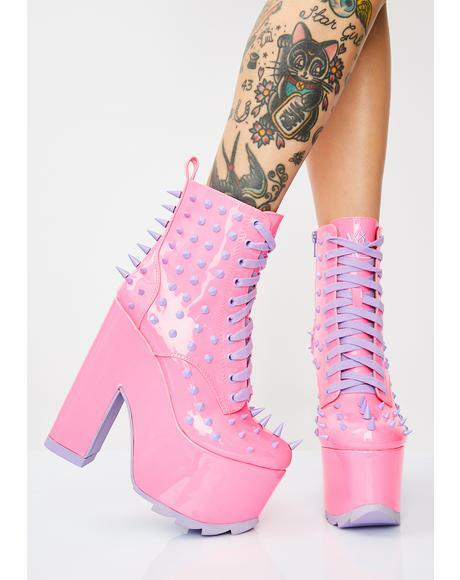 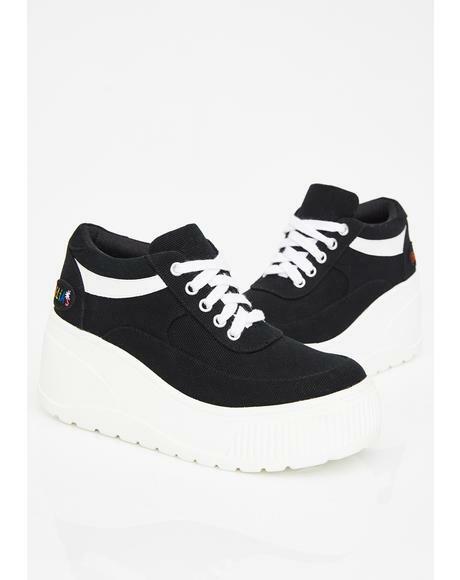 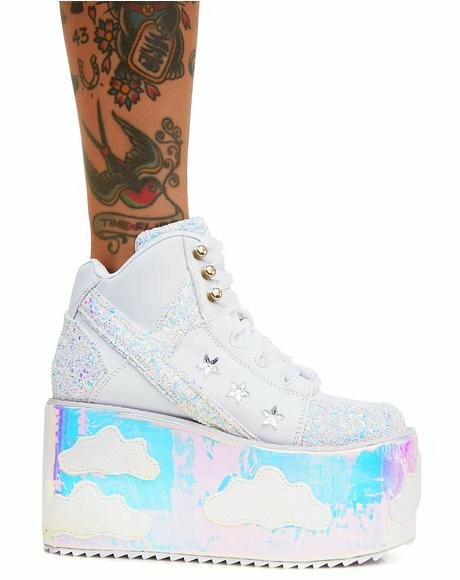 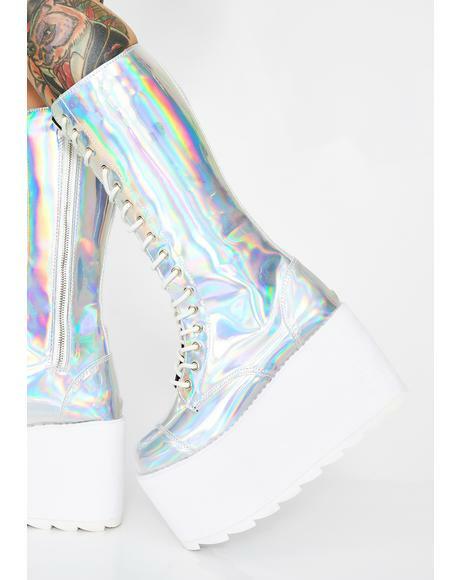 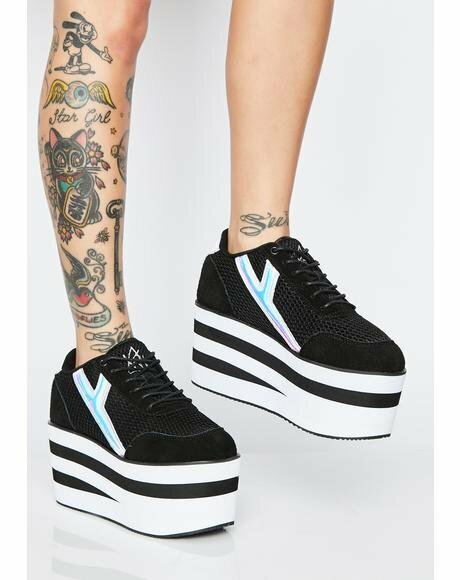 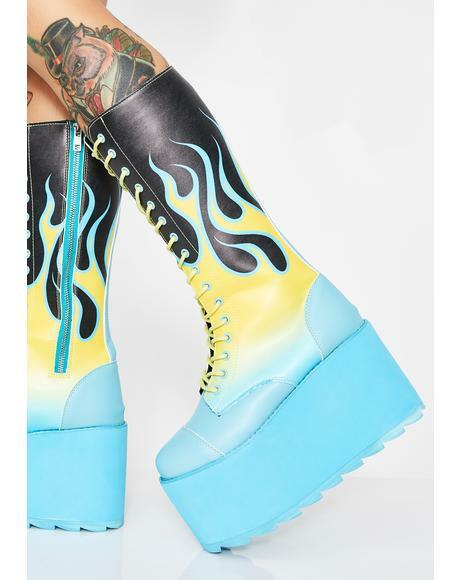 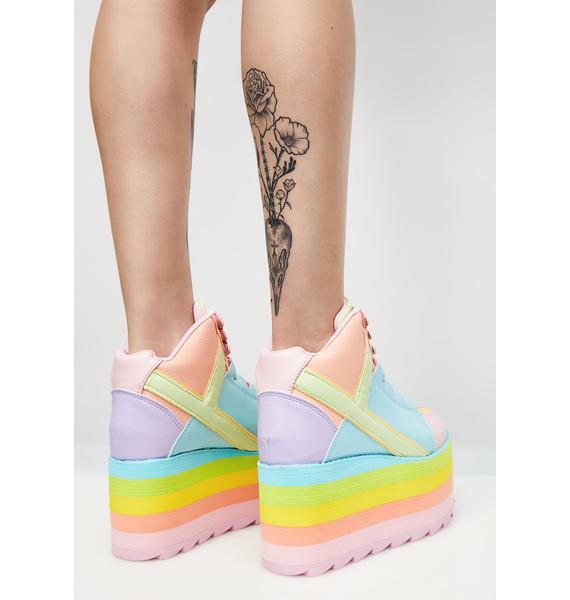 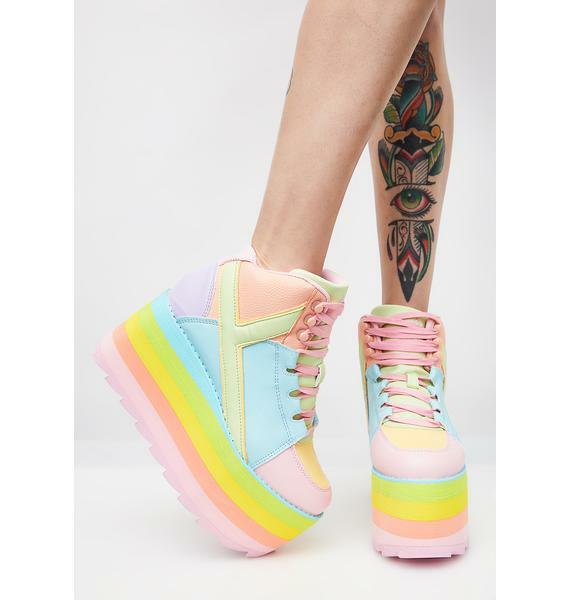 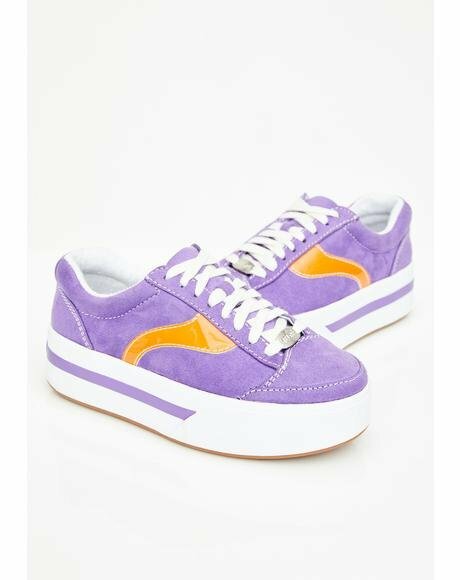 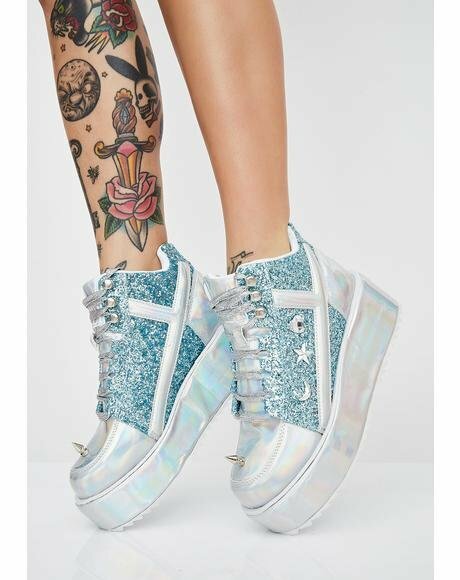 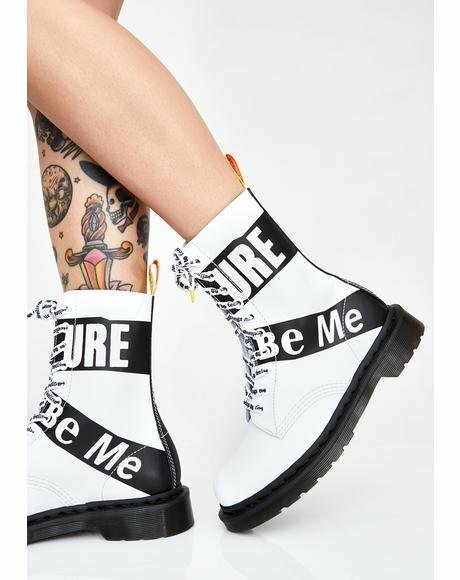 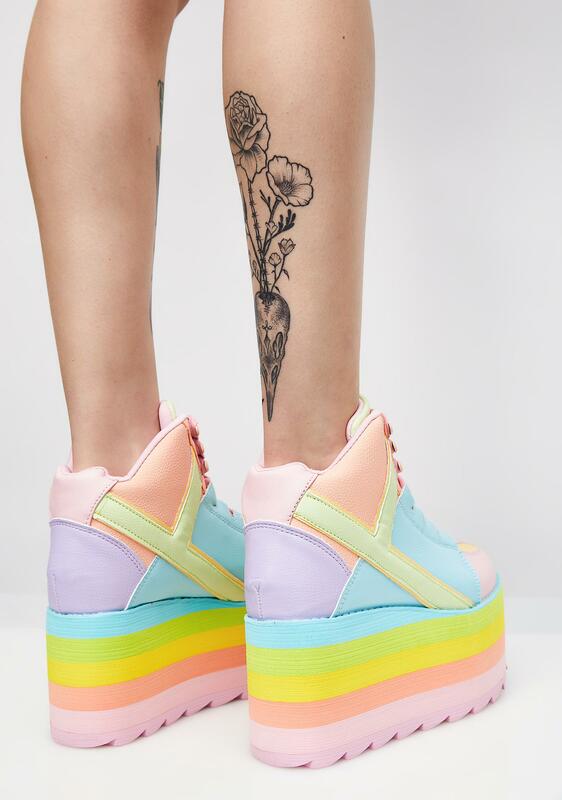 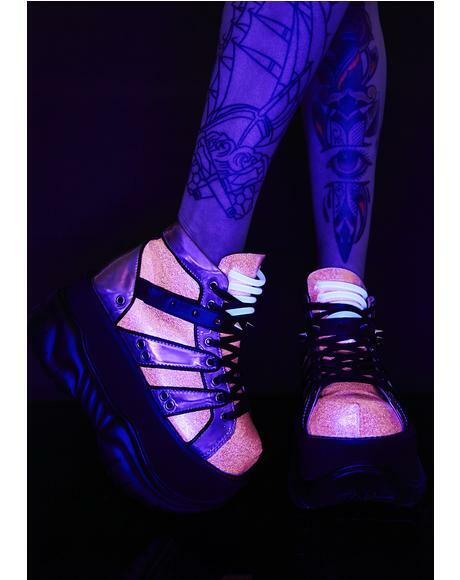 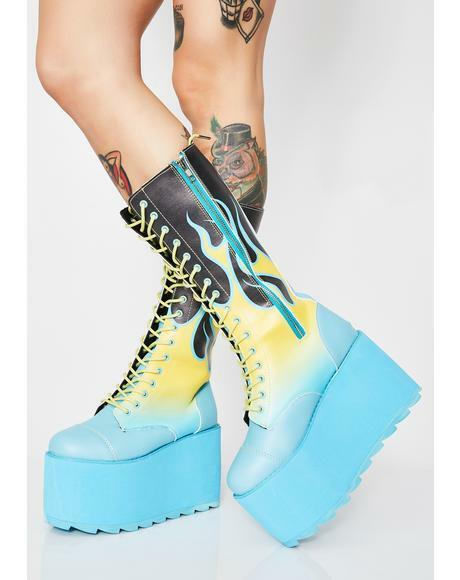 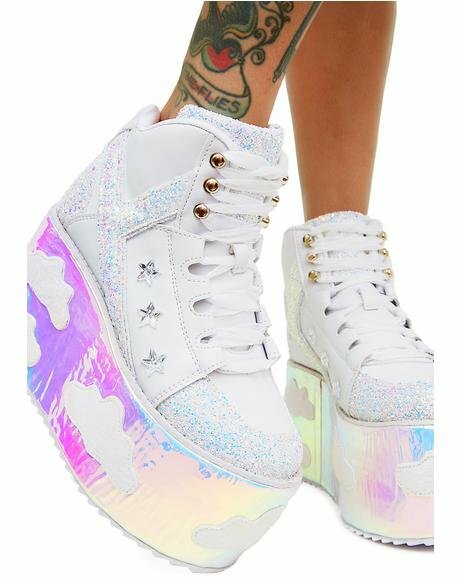 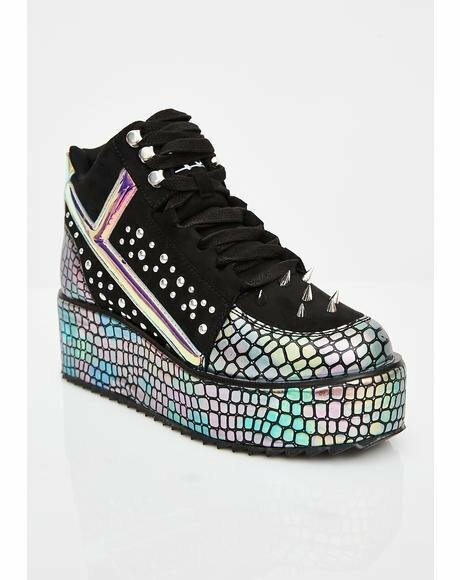 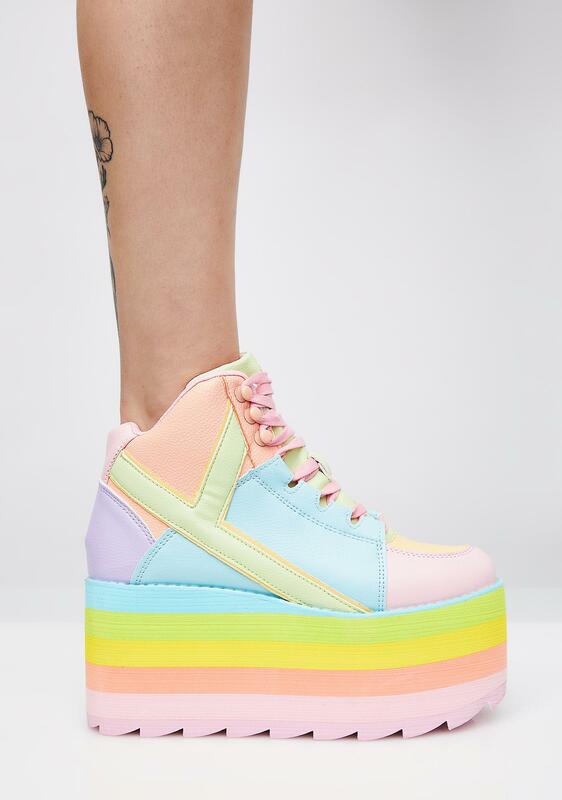 These rainbow sneakers have thikk platform soles and lace-up front closures.